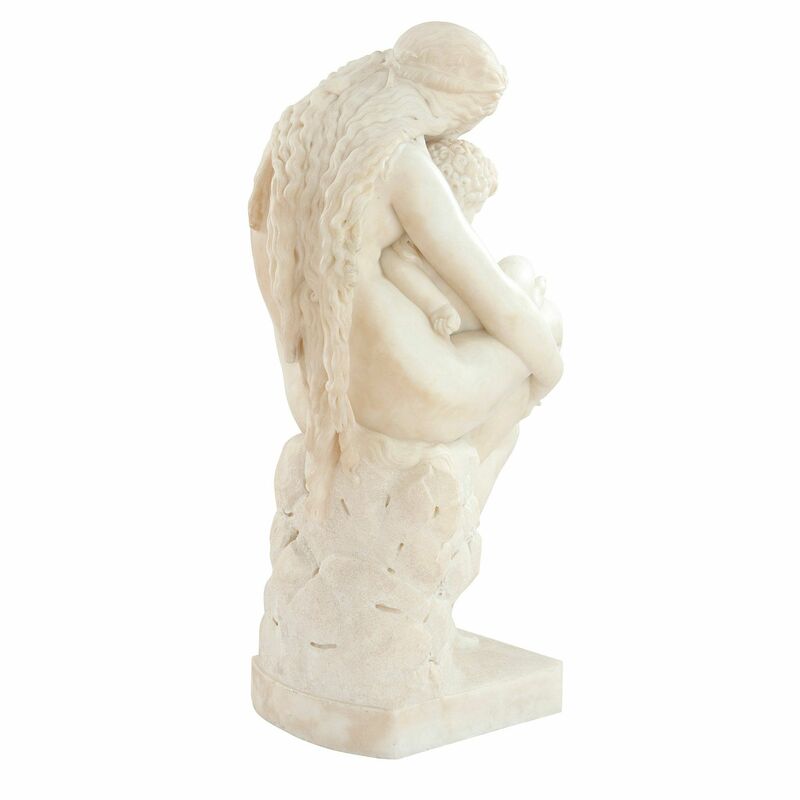 This beautiful Italian marble sculpture, portraying a moment of tenderness between a mother and her infants, is typical of Franchi's high quality work. After the original by Auguste-Hyacinthe De Bay, signed 'A. 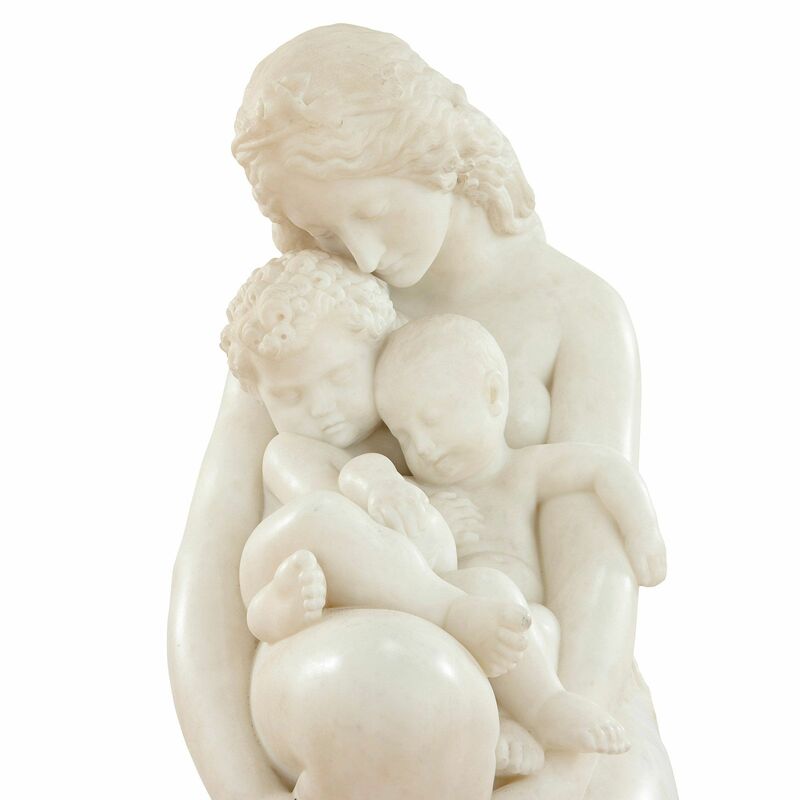 Debay / Franchi Sc' to the base; the marble expertly carved depicting Eve embracing her two young boys, Cain and Abel. 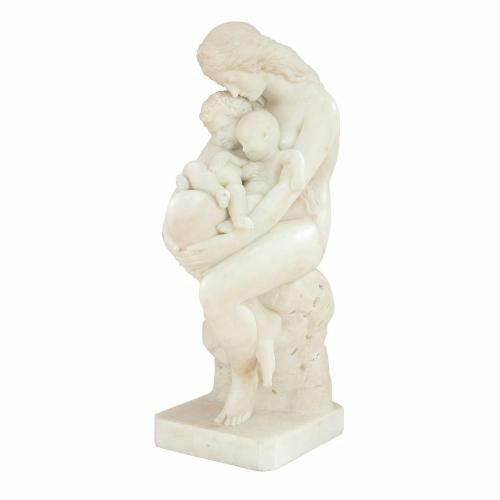 Known as 'Le Berceau Primitif' ('The First Cradle'), this stunning antique marble by Franchi was carved after the original French model by Auguste-Hyacinthe De Bay. De Bay's tender work depicted the Old Testament figure of Eve gently embracing her two young sons, Cain and Abel, in a sensitive homage to the Biblical family as described in Genisis 4:1-15. De Bay's famous work was first unveiled in 1845 at the Paris Salon (work no. 2070), where the sculpture was immediately met with huge critical acclaim. The work was later displayed at the Exposition Universelle of 1855 in Paris (work no. 4314), where it was acquired by the celebrated Russian collector, Prince Anatoly Nikolaievich Demidoff. Prince Demidoff later sold the beautiful sculpture from the Villa San Donato near Florence in 1870. 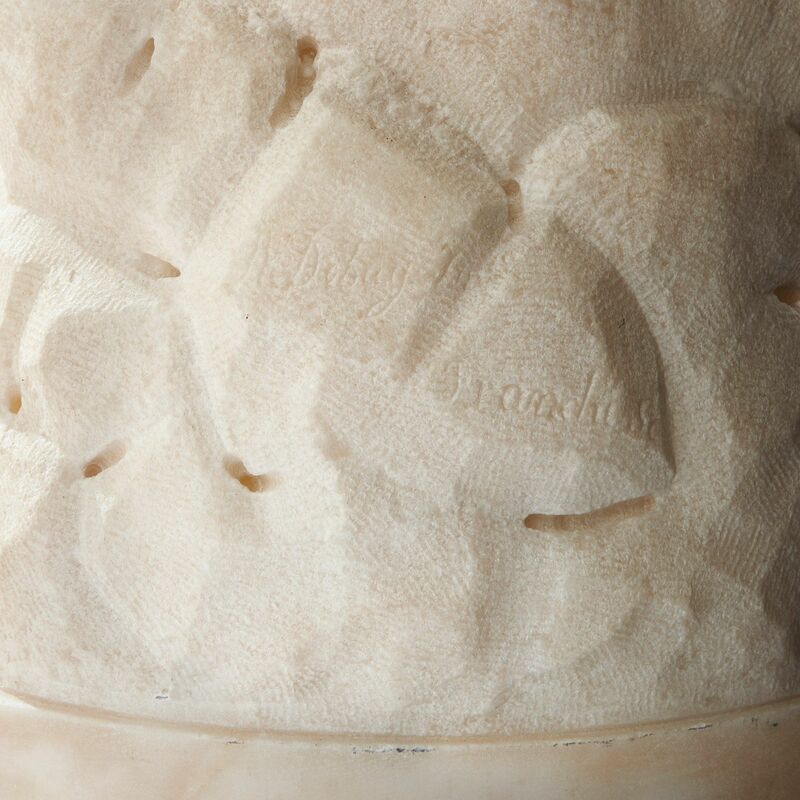 The original marble's whereabouts remain unknown, although it is thought to reside in a private collection. Owing to its success with the public, collectors and critics alike, 'The First Cradle' has been reproduced and copied by several artists throughout the years. However, there are few renditions so expert as the present one by Franchi.